The Algarve is basically the southern most coastline of Portugal, and a major tourist area. The main towns are Faro (which also has an airport) and Albufeira. Both are pretty big resort towns, with plenty in terms of nightlife … and “beach life”. Rather than flying (which is technically possible from Lisbon), we decided to check out Comboios de Portugal (CP) – the rail operator in Portugal. As with many things in Portugal, things are pretty cheap when you compare them to most northern European countries. This includes going by train: A single ticket to Albufeira costs just over €20 (for a train ride that lasts just over 2:30 hrs). Other than with some northern European operators, CP doesn’t seem to offer a dazzling array of tickets ranging from silly cheap to outrageously expensive. Rather, it has three types of ticket prices: Normal 2nd Class tickets, “Comfort” 1st Class tickets and Special Discount tickets. To get the discount ticket you have to book 5 or more days in advance. The rest of the fares are regular fares and seem the same right up to the day of departure. While the Discount tickets are cheaper, you don’t need to be afraid of paying full fare tickets. Unlike the UK, where the difference is sometimes up to 20x the price, here it is much much less. a) CP only accepts Portuguese bank cards. Debit cards from abroad won’t work. So you need to bring enough money with you. b) Trains may sell out…. Not the most likely, but as we found out when heading back on the day that Portugal played in (and won) the Euro 2016 final, things can get busy. So, if you want to make sure you get a seat, it is a good idea to buy your return ticket ahead. I’m not sure how unusual our experience was (and I suspect it was pretty unusual)… but CP won’t let you buy a ticket/travel on a full train. Both “InterCidades” trains (i.e. 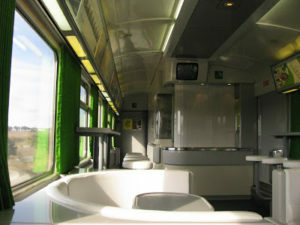 InterCity trains) we took were very comfortable. You can pay a little extra to travel in comfort class (1st class), but, to be honest, the difference between the two seems minimal. 2nd class has ample space and a two seats/corridor/two seats configuration, while 1st class has two/one seat configuration giving you a little extra space. Both trains we traveled on had a really nice bistro car with even more space where you could easily have a nice chat or enjoy a coffee (and as you’d expect, they have pretty decent coffee on the train!). Note that station announcements are made in Portuguese only. That said, most people will speak enough English to guide you in the right direction. 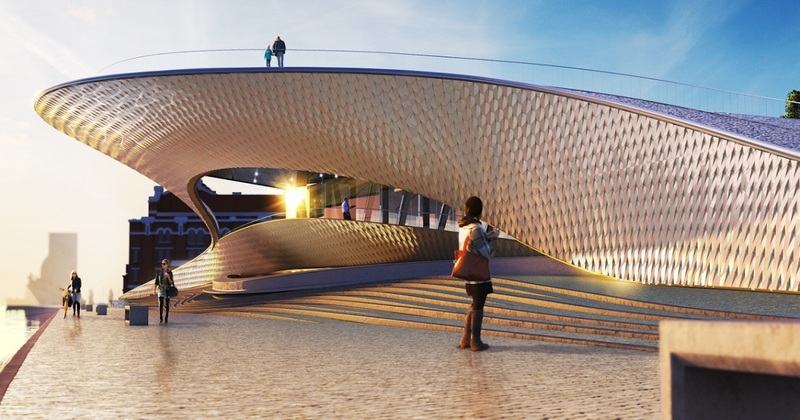 If you are deciding to take the train from Lisbon south, you’ll also go over the 25th April Bridge. The trains run along the lower platform of the bridge… have your camera ready: it has some pretty amazing views over Lisbon. 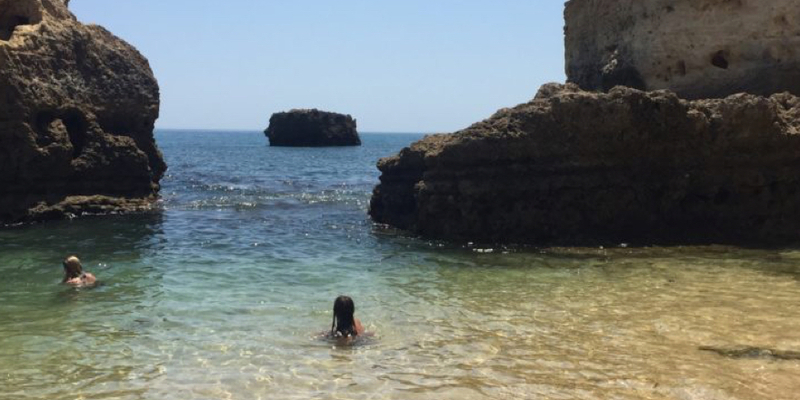 … more about Albufeira in the next post…. keep tuned. But in the meantime:The train ride itself was smooth and comfortable both ways. So if you happen to be in Portugal for a while, why not check out another region by train. It’s easier and probably much cheaper than you think.